Roof flashing is installed in parts of a roof’s surface and joints and where something, like a skylight or chimney, meets the roof. These intersections will expand and contract based on weather and seasonal changes. So, properly installed flashing will provide for this movement while also keeping out moisture. Those parts of your roof that intersect with something like a chimney are particularly susceptible to leaking. So, in almost any area where two surfaces meet or there is a heavy runoff, flashing will provide extra protection. Moreover, flashing is best installed at the same time as a new roof installation. If it is improperly done, it can lead to some serious problems. That said, attempting to repair or replace damaged flashing requires special knowledge and skills, and is not really something for a DIYer. It is extremely critical that the right materials are chosen and that it is properly fitted. Not all flashing will work well with all roofs and it must be chosen carefully. It doesn’t matter at all how well it looks at the end of the project, you can still have rainwater penetration and home damage. A professional roof knows how to properly remove roofing shingles, then remove and replace the damaged flashing. Roof flashing is a critical component to any roof. 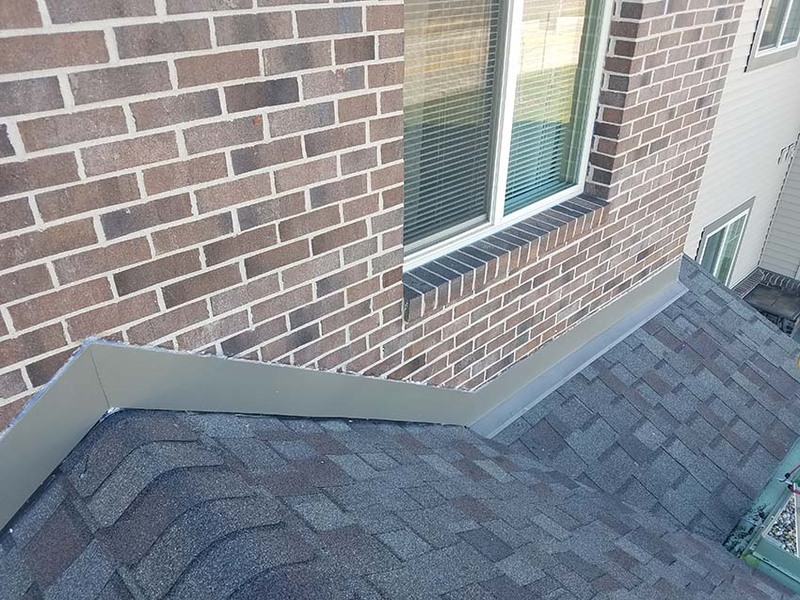 While many flashing problems are easy for a professional roofer to resolve, because of the issues involved, it is recommended that a person with roofing experience tackle the problem. Hiring a professional roofing contractor will save you money by ensuring the flashing repair is done right the first time. Do you still have questions? If you would like to talk about roof flashing, or a related topic, please contact us.